Since his ordination all his assignments have been in Vicariate VI: as associate pastor at Saint Ethelreda Parish and Holy Cross Parish in Woodlawn; then as pastor of Saint Laurence Parish from 1976 to 1991, Saint Philip Neri Parish from 1991 to 2009, and also Our Lady of Peace Parish from 1997 to 2009. Since February 25, 2009 he has been pastor of Saint Ailbe Parish at 91st Street and Stony Island Avenue. From 1987 to 2002 he served as dean of Deanery VI-B. While working primarily in parish ministry since ordination, Father Duris has also been involved with other ministerial activities, including Worldwide Marriage Encounter, the Presbyteral Council, United Power for Action and Justice, the Association of Chicago Priests Coordinating Board, coordinating overnight sessions with the Cardinal and priests ministering in the Black Community, and serving on various advisory boards, such as the Augustus Tolton Scholarship Program Board at Catholic Theological Union. Leisure interests include music, drama and architecture. The Lykes are the designers of the Arusi Retreat for Christian Marriages, which they have presented across the United States. They are national trainers of curricula used in the Healthy Marriage Initiative, i.e., FOCCUS and Exploring Relationships and Marriage with Fragile Families. They are also founders of Arusi Network, Inc., a not-for-profit organization that educates African Americans on the skills and benefits of Christian marriage. Together they served as advisors to the U.S. Conference of Catholic Bishops’ (USCCB) Committee on Marriage and Family. Andrew is the former Director of the Office for Black Catholics in the Archdiocese of Chicago. As the Coordinator of Marriage Ministry for the Archdiocese, a role he served from 1999 to 2009, he was the principle author of In the Spirit of Cana, the Marriage Ministry Guidelines for the Archdiocese of Chicago. In the summer of 2009, the Andrew & Terri were regularly featured on American Catholic Radio’s weekly segment “Marriage Moment.” In September 2009 they were summoned by the Pontifical Council for the Family to travel to Rome, Italy to consult in the planning for an International Conference for the Family. Later that same month they were signatories of the Marriage Proclamation, signed at the historic Emancipation Tree on the campus of Hampton University in Virginia. It was Father Bill Murphy, pastor at her parish, Queen of Martyrs, who insisted in 1978 that Dolores apply for the job of secretary to the editor what is now The Catholic New World (then called The Chicago Catholic). Ironically, this was the same publication for which she’d sold subscriptions door-to-door when she was a child. She was hired, and after 10 years, she began writing her first column, “Church Clips.” Before long, she added a series of interviews and a parish chronical. Since 2007, her “5 Minutes with Father” in The Catholic New World, offered people in the pews a relaxed profile of almost 200 parish priests. Dolores stayed on the job through four prelates and nine editors: Delores retired in 2015, after 37 years on the staff of The Catholic New World. SisterHouse is a faith-oriented community which offers a temporary home to women seeking recovery from substance abuse, providing them with a secure environment of respect, order and peace. SisterHouse opened its doors in 1982 in response to an expressed need for a short term home for women leaving prison. Established by Sister Anne Mayer, SSND, as part of the Institute for Women Today, it has evolved into a home for any woman needing shelter as she works her recovery program. SisterHouse offers opportunities for growth in self-esteem and spiritual maturity while requiring accountability and responsibility. The program helps residents to achieve responsible independent living; empowering women to participate constructively in society. In 1982, Father Lorenzo Maddock, pastor of the parish Maternity BVM, along with the Hispanic Caucus of the Association of Priests in Chicago began a two year pastoral training program for Spanish speaking Catholics in the Chicago archdiocese. The first director of this program was Father Lorenzo Maddock Other early contribuors included Don Headley, Ted O'Keefe, Mike Boehm, Tim McCormick, John Huitrado, Jack Hurley and Arturo Perez. The curriculum consisted of Human Skills, Scriptures, Church Social Justice, Community Training and Popular Devotions. Led by director Nelly Lorenzo, the Institute trains approximately 250 participants per year in its five training centers. ﻿Rooted in Gospel values and our rich Catholic social teaching tradition, the Office for Immigrant Affairs and Immigration Education (OIA&IE) of the Archdiocese of Chicago fulfills the Church’s leadership role of evangelization. The OIA&IE is the first diocesan office of its kind in the United States. Creation of the office signifies the need to have a coordinated local response that is rooted in faith to the issues associated with immigration. We welcome immigrants in Cook and Lake Counties, build communion between immigrants and non-immigrants as brothers and sisters in Christ, and accompany and empower immigrants toward their formation and integration as full members of society. Through our various networks, we work to create a multi-cultural community that responds to the Gospel call to "welcome the stranger." 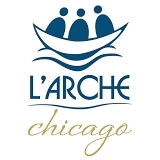 L’Arche Chicago is a faith-filled community where adults with intellectual disabilities (core members) live with other adults (assistants) who share their lives for a year or more in family-style homes. We believe that God has given all persons different gifts, and that these gifts are revealed and shared in community. In L’Arche, core members and assistants build mutual relationships through which they are transformed as they recognize their mutual interdependence. L’Arche Chicago is part of an International Federation that brings together 140 communiities in 40 countries. Its founder, Jean Vanier, is the 2015 receipient of the prestigious Templeton Prize previously awarded to Mother Teresa, the Dalai Lama, and Desmond Tuto. The death of a loved one brings emotional turmoil and requires adjustments in life, which can be the most stressful of all changes. With the death of a loved one, it is natural to lose a sense of identity as a spouse, parent, child or friend. Little Company of Mary offers an adult grief support program, Living: When a Loved One Has Died. The group offers supportive and skilled companionship for those who are mourning the death of a loved one. Support groups are formed by specific loss, be that a child, spouse, parent or sibling. Children (ages five and up) and teens participate in groups designed specifically for them. The Heart Connection Program helps children understand and express their painful feelings through creative art activities, music, poetry, pet therapy dogs and their personal sharing. 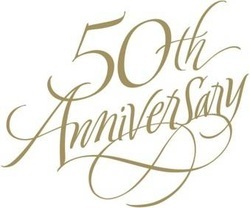 The ACP kicked off its 50th Anniversary celebration with our 49th Annual Mardi Gras at Sacred Heart Parish. Nearly 250 were present to honor our award recipients. We are grateful to Fr. Pat Tucker for his hospitality. We are grateful for everyone who supported this celebration of ministry: those who attended, those who purchased raffle tickets, those who took out ads, those businesses that donated gifts, those publishers who donated books, those who helped with setup and cleanup. We thank our honorees for their faithful and joy-filled ministry to the people of the Church of the Archdiocese of Chicago. Pope Francis states: You tell us that to love God and neighbor is not something abstract, but profoundly concrete: it means seeing in every person the face of the Lord to be served, to serve him concretely. And you are, dear brothers and sisters, the face of Jesus. (5/21/13). 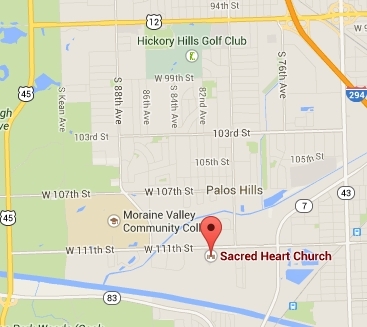 Jane Anne Campbell: is a parishioner at Ascension Catholic Church in Oak Park. A graduate of the University of Notre Dame, Jane Anne is a student at Catholic Theological Union pursuing a Master in Liturgical Ministry. She lives in Oak Park with her husband, Ray, and their children, Richard and LIzzie..
Cindy Ulrich: is a parishioner at Sheil Catholic Center at Northwestern University in Evanston, Illinois. Cindy works at he Sheil Center, and she is is currently training in the field of Spiritual Companioning. Cindy works with young adults, as they search for how God is present in their lives.